Are you thinking to start trading in forex market or already in forex trading? Well, in both the cases choosing a trusted forex broker is important. It is difficult to find a reliable forex broker if you do not have sound knowledge about it. Since forex brokerage is way too complicated to the average prospective client, this fact places most would-be clients in very precarious situations. Plenty of time and business opportunities are often wasted. More often than not, wrong decisions are also made. It is therefore imperative for all and sundry to familiarize them with the entire gamut of forex brokerage. This article entitled, “A Comprehensive Guide to Forex Brokerage” endeavors to demystify this subject matter and aid clients in finding a trusted broker. It accomplishes this by investigating and explaining in great details the various aspects of the subject matter. For a start, the term Forex Trading refers to the global decentralized or over-the-counter exchange of foreign currencies i.e. the buying, selling or the exchange of currencies at current rates or determined prices. A forex broker is basically a firm which provides currency traders, and other stakeholders in the field of currency trading with the access to a trading platform which subsequently allows them to buy or sell foreign currencies. They mainly facilitate the activities of retail forex brokers/currency trading brokers by granting them 24-hour access to the currency market. 2. Why do you need trusted broker? To trade successfully in forex market without having any interruption, a trader has to get a trusted broker. To be failure in selecting right broker means to go ahead in the failure mission of forex trading. Since forex issues deal with your hard earned cash, it is wise to make sure the person whom you choose to put in charge of your money is regulated, honest and trustworthy. You can not actually understand that the broker is scamming your money in guise. As the retail traders trades via online, it is difficult to find out the right broker if you do not have sufficient knowledge about forex brokerages and their functions. A trader needs to keep a couple of things in consideration when he tries to choose best forex broker to trade in. The article covers INS and outs of forex brokerage that a trader must know. 3. HOW DOES A FOREX BROKER WORK? Forex brokers work primarily by buying and selling foreign currencies from corporate and individual clients. They buy the currency at a cheaper price than they eventually sell them. This means that they derive some profit in the course of trading. This profit is technically called a “spread”, and it is the incentive that keeps forex brokers in the business. Some may also charge commission on every transaction process as a way of shoring up their revenue base. • Leverage – This is a special type of loan that forex brokers advance to repeat clients and regular customers. • Liquidity – It refers to the amount of liquid cash that is at the disposal of the economy at any given time. Owing to the fact that the primary objective of forex trade is the exchange of currencies, it follows that they play a crucial role in availing enough liquidity. • Safety/Security – Forex brokers also help in curbing money laundering and the counterfeiting of currency notes since they have scanners and special equipment that can detect such problems. • Credit Referencing – Regular and repeat clients have the added benefit of being able to be referenced or recommended for loans from any financial institution. They primarily create markets/sales leads for their clients. It is also called market maker broker they do so in return for a spread that arises due to the differences in the buying and the selling prices. They provide traders with buy and sell quotes besides providing liquidity to their clients. 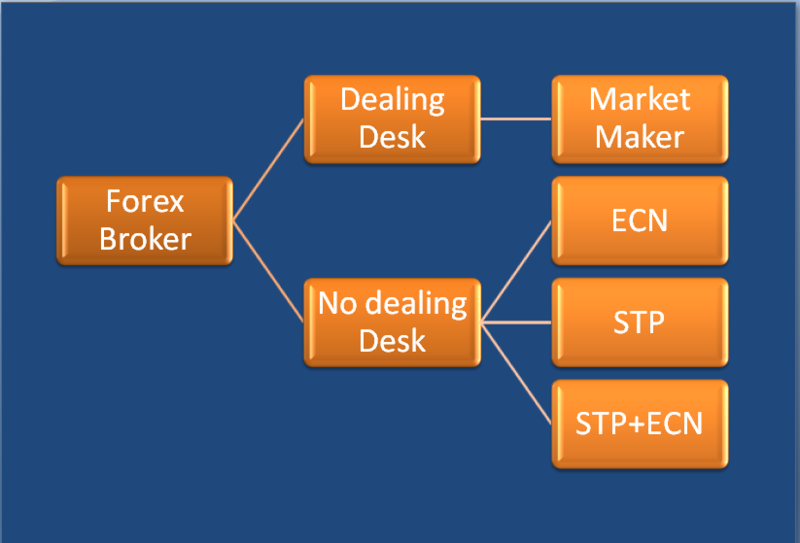 Trading using a dealing desk broker basically entails placing a trading order on a trading platform. The order is then picked up by a dealing desk broker who in turn uses it to win trades of clients. It is a system of forex trading which provides direct and immediate access to interbank markets where foreign currencies are traded. It also allows for direct contact with the market liquidity providers as it eliminates the need for intermediaries as is the case with the dealing desk brokers. The system may accommodate several liquidity providers at a time and hence enables the forex brokers to obtain the most competitive bids and ask prices besides granting the investors access to instant executable rates. ECN stands for Electronic Communications Network. ECN brokers are those that employ electronic communication networks to provide their clients direct access to the other participants in the trade of currency. They do this by consolidating price quotations from several market participants and channeling the same to all the other participants. They generally offer their clients tighter bids and receive higher spreads as compared to the dealing desk brokers. ECNs cannot take a direct part in the trade of foreign currency since they merely act as intermediaries in the entire process. The initials STP stand for Straight through Processing and refer to those brokers who receive client orders and pass them directly to the liquidity providers such as banks, hedge funders, investments corporations, or other brokers. They eliminate other intermediaries in the brokerage chain of command, minimize delay in the processing of orders, negate the need to resend quotes to clients and allow clients to trade instantly. They mainly transact with banks given the fact that they generally trade on the interbank markets. It is an electronic trading facility that grants investors intending to deal in financial instruments a way of interacting with the order books of an exchange. The electronic facility is often provided by independent firms and empowers the buy side firms to have greater controls over the manner in which their trade is executed. The use of this facility greatly minimizes errors, expedites the process of forex trading, and allows traders to leverage the benefits of short-lived trading opportunities. This refers to the practice in which banks, brokerage firms, and other financial institutions offer clients direct access to an exchange without having any pre-trade management in existence. This practice allows high-frequency traders to gain access to low latency markets with pre-execution controls that are provided by the exchange. Some of the benefits of this practice are reduced latency i.e. the delays in markets that is experienced from time to time, extra revenue opportunities, and the possibility of hitting volume discounts. ECN, Electronic Communications Network brokers are those that employ electronic communication networks to provide their clients direct access to the other participants in the trade of currency. They differ from the two other types in their choice of infrastructure i.e. electronic as opposed to manual/conventional routes. Market maker brokers, also called Dealing Desk brokers, are those who create markets/sales leads for their clients in return for spreads. Their role is simply to be the intermediary between the various players in the forex trading market. STP, Straight through Processing, refers to those brokers who receive client orders and pass them directly to the liquidity providers such as banks, hedge funders, investments corporations, or other brokers. They mainly act as facilitators of the forex trading business as they themselves are not directly involved in the trade of currency. The term ECN stands for Electronic Communication Network. An ECN broker is basically one that uses electronic communications networks as the channel/avenue through which to reach out to potential clients and reach out to the other players/participants in the currency market. Trading on an ECN platform is largely anonymous in nature i.e. takes place with the identity of the traders largely withheld from the other players. This brings along several benefits such as the elimination of bias while striking deals, neutral pricing, unparalleled privacy, the maximum safety of funds/financial transactions, the reflection of the real market conditions at all times, and quick dissemination of any breaking financial news. It is, therefore, the surest way of deriving maximum returns as well as exploiting full potential. In other platforms, spreads (profits that forex brokers derive from their trade) are largely fixed and inflexible by virtue of being pegged on the conventional or standard currency pair. This is not the case with ECN trading platform though. This is because the prices in the ECN platform are largely based on the forces of demand, supply, and volatility. Consequently, the amount of spread that a trader may accrue out of the use of this platform is largely variable and generally higher than those derived by traders in other platforms. Executing an order or sealing a sales deal is generally quicker on this platform as compared to the other platforms. This is due to two factors. The first is the fact that no intermediaries are involved at all, which means that traders communicate and deal directly with clients. Second is the fact that the platform is largely automated, meaning that data and other relevant pieces of information are transmitted in real time. This has the attendant benefit of added convenience to the various stakeholders. This platform or mode of trading eliminates any inconveniences, downtimes, and delays in the course of trading. Moreover, it is also usable on a round-the-clock basis as it is not subject to the limitations of the other modes of forex trading. The use of this platform is therefore very convenient, timely, and lucrative in the sense that it allows for the execution of numerous transactions at any given time. ECN platform grants brokers and other players in the field of forex trade unlimited access to the global pool of liquidity which is almost infinite as compared mainly to the local/national pool. A trader who opts to carry out his trade via the ECN platform, therefore, has strategic competitive and stronger financial muscle power over and above the other competitors who embrace other platforms. Direct and Accurate Price Rates from interbank Dynamic spreads – you don’t know what the spread will be when you enter a trade. Variable Spread – A trader cannot know what the spread will be when open a trade. Very Tight and Accurate Spreads Re-quotes and order rejections. The broker cannot bankrupt themselves through trading against its clients. Rollover fees. It may go against you. This is a common question of forex trader that which broker is suitable for them. Actually, it depends on the individual trader and their way of trading. Every broker has some advantages and disadvantages. As a trader, you need to be careful that the broker is suited your trading style. As example a scalper or short term trader may choose market maker broker as they have fixed spread On the other hand a long term of technical trader or long term may choose ECN or STP broker for best trading experience. Before going to identify an honest forex broker, a trader should have sound knowledge about the regulations of forex broker. This will help choice to make right choice to go ahead. In the United States, forex regulation entails the provision of the necessary licenses to eligible brokers in order to conduct forex trading business after thorough due diligence; enforce the required adherence to the prevailing capital requirements; combat fraud, and enforce detailed record-keeping and reporting requirements as concerns all transactions and other related business activities. All the regulatory provisions are administered by the National Futures Association (NFA) and the U.S Commodity Futures Trading Commission (CFTC). Finer details regarding US regulations may be accessed by downloading the following file: http://www.nfa.futures.org/NFA-compliance/publication-library/forex-regulatory-guide.pdf. Owing to the segmented nature of the European financial sector, the tasks of regulating forex brokerage falls on the individual nation within the bloc. Examples of these regulatory bodies include Austria - Financial Market Authority (FMA), Financial Supervision Commission of Bulgaria (FSC Bulgaria), Cyprus Securities and Exchange Commission CySEC, Danish Financial Supervisory Authority (Danish FSA), and the Malta Financial Services Authority (MFSA). All these individual bodies are in turn coordinated and supervised by the Markets in Financial Instruments Directive or MiFID. Other economic blocs around the world also have their own forex broker regulation regimes and regulatory bodies. To mention but a few, these include the Korean Foreign Exchange Controls and Securities Regulations, Japan Financial Services Agency (JFSA), Financial Futures Association of Japan (FFAJ), and The State Administration of Foreign Exchange (SAFE) of the People's Republic of China. They basically license forex brokers, ensure fair play, safeguard the wider public against any dangers, and settle disputes between the various parties. National Futures Association (NFA) is a not-for-profit, independent, self-regulatory organization for the United States derivative industries which include on-exchange traded futures, over-the-counter derivatives, and retail off-exchange foreign currencies. It is financed entirely by membership dues and is headquartered in Chicago City. The U.S Commodity Futures Trading Commission (CFTC) on the other hand is an independent agency of the government of the United States that was created in 1974. It regulates futures and options markets and basically exists to foster transparent, open, competitive, financially sound markets in order to safeguard the US public from systemic risks, fraud, manipulations, and other abusive practices. The Financial Conduct Authority (FCA) is an independent UK financial regulatory body that is mainly financed by the fees levied on the members of the financial service industry. It regulates financial firms and upholds the integrity of the financial markets of the United Kingdom. The Prudential Regulation Authority (PRA) on the other hand is wholly owned by the Bank of England and is tasked with the responsibilities of the regulation and supervision of banks, credit unions, building societies, investments firms, and insurers. It does so by setting standards and supervising financial institutions at the level of individual firms. It is an independent government body which is solely responsible for the regulation of financial services/institutions in Australia. Its core mandates are to enforce and regulate companies and financial service laws in order to protect Australian consumers, creditors, and investors. It was established on July 1, 1998 and its authority is determined pursuant to the Australian Securities and Investments Commission Act of 2001. This Swiss-government body is primarily responsible for the regulation of the financial sector. This entails the supervision of insurance companies, banks, stock exchanges, securities dealers, and other financial intermediaries within Switzerland. It is independent of the executive arms of Swiss governments (both at the Federal and Canton levels) and reports directly to the Swiss parliament. Bundesanstalt für Finanzdienstleistungsaufsicht (Deutsche/German) translates to The Federal Financial Supervisory Authority (English). It is the financial regulatory authority of the Federal Republic of Germany. It was established as an independent institution by the federal government to oversee the activities of around 2,700 banks, 700 insurance companies, and 800 other financial institutions. It is supervised by the Federal Ministry of Finance and s headquartered in Frankfurt and Bonn. Autorité des Marchés Financiers (AMF) stands for “Financial Markets Regulator” in English. It is an independent public body that regulates stock markets, safeguards investments, oversees the trade in financial instruments, furnishes investors with the necessary pieces of information, and maintains order in financial markets throughout France. It was established by the Financial Security Act of August 1, 2003 and falls under the European regulatory body of the Markets in Financial Instruments Directive (MiFID). It is the official financial regulatory body in the French-speaking Canada. It is headquartered in Quebec City, Canada and regulates the province’s financial markets, provides assistance to the consumers of financial products and services, enforces the laws that govern the regulation of the financial sector, and oversees the activities of insurance companies, deposit institutions (except banks), securities, and the distribution of financial services and products. It coordinates its activities in conjunction with other self-regulating bodies within Canada such as the Chambre des services financiers (Chamber of Financial Security) as well as the Chambre de l'Assurance de dommages (Chamber of Damage Insurance). The abbreviation SSL stands for Secure Sockets Layer. It is basically a protocol (formal set of rules, standards, policies, formats, and procedures which are used to define communications between two or more devices connected to a network) which creates secure connections between a client and a server over which to send information. It uses cryptographic system comprising two keys to encrypt data. The first key is basically a private/secret key which is only known to the recipient of the message whereas the second key is public in the sense that it is known to everyone. SSL security is a must for all forex brokers in case their integrity/credibility is to be assured. Also called "multifactor authentication", it is an extra layer of security that requires an extra piece of information such as physical token over and above the common username and password before granting access to the network or database. This provision/technology allows foolproof data integrity by making it almost impossible for intruders to gain access to computer systems, database, or network. The ideal forex broker has to have such a system installed in place. Some forex brokers may charge commissions. Apart from commission, some forex brokers may also charge other hidden fees. In case such charges exist, the end result is usually a surge in the cost of accessing foreign exchange and other services provided by forex brokers. It therefore goes without saying that the trusted broker has to be as cost-effective as is practically possible in order to eliminate unnecessary financial burdens from the seekers of these financial services. If possible, the broker of choice has to provide discounts, special offers, and promos from time to time in order to lessen the financial burdens on the part of the clients. This is an online electronic trading platform that is extensively used by online retail foreign exchange speculative traders. It was developed and released by the MetaQuotes Software in 2005 and is licensed to foreign exchange brokers that provide it to their clients. It comprises both a client and a server component. Its server software is run by the broker whereas its client component is provided to the broker’s customers who in turn use it to stream live prices, charts, and other data besides placing orders, and managing their accounts. Also called online trading, it entails the use of the internet/world wide web platform to place orders, buying or selling commodities, ordering financial securities, or exchanging currencies. This is carried out by the use of a broker’s internet-based proprietary trading platform. Its strengths lie in the facts that it is very fast, efficient and relatively inexpensive. Moreover, it requires no paperwork at all, as there is absolutely no need to fill out any forms and archive them in files or other storage media. 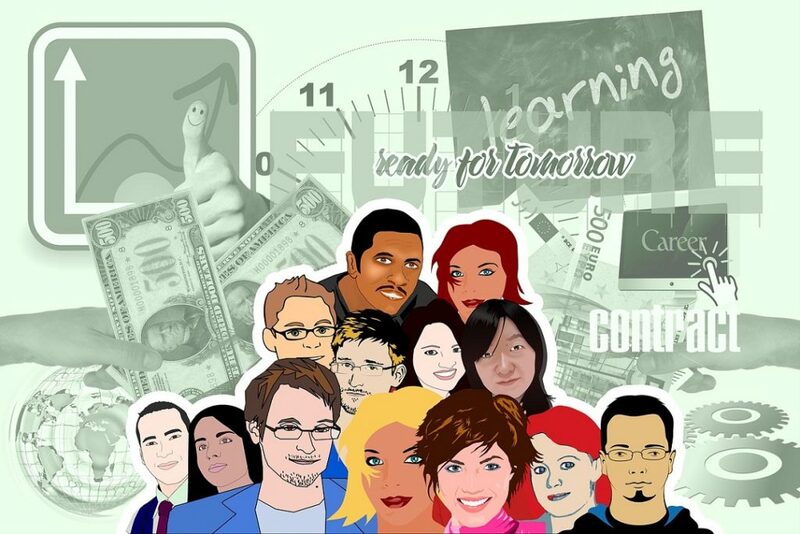 It is the process by which online investors rely on the user-generated financial contents that are gathered from various Web 2.0 applications as the main information sources for the making of financial decisions. 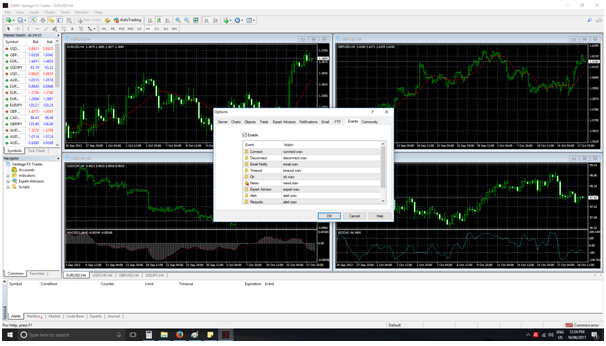 This form of trading allows financial data to be analyzed, and comparisons between various copy trades, strategies, and techniques to be made with ease. The platform also grants traders the leeway to integrate their investments with decision-processes and social indicators from trading data feeds of the other traders. The term “Mobile Trading” refers to the use of wireless technology in buying or selling securities. It allows investors to access trading platforms from their cell phones instead of being confined to traditional/conventional trading methods via the computers. It also allows Smartphone users to seamlessly manage their portfolios in real time i.e. even when they are located far away from their desktops/laptops. PS: The choice of which broker to work with rests squarely on a user’s convenient trading platform. The currency pair is a quotation and pricing structure of the currencies that are traded in a forex market. The value of a currency is determined by the comparison of its value to that of another currency. The first-listed currency in the pair is called the base currency whereas the second is the quote currency. The base currency, on the other hand, is the currency against which the exchange rates are generally quoted in any country. For instance, in the quote: JPY/USD, the Japanese Yen is the base currency, whereas the US Dollar is the quote currency. • Cash Account: In this account, the client must first of all pay in full the amount due on any transaction by the settlement date. All the money and securities in this account are registered in and entirely owned by the client, not the broker. • Margin Account: This allows the clients to borrow money or any other security from a broker-dealer in order to gain greater leverage on their transactions. The client has to be informed of all the associated risks by the broker-dealer prior to the execution of any borrowing. • Option Account: It is a special kind of margin account that is approved by a broker-dealer for the purposes of trading on the CBOE (Chicago Board Options Exchange). It is opened only in case the broker-dealer has sufficient proof that the client has enough net worth and that he is sophisticated enough to invest. It is the pace at which a security is bought or sold in a forex market. It is very significant because the value of currencies fluctuates rapidly. Any delay in executing a trade may usually have the impact of denying the client the privilege of deriving maximum returns on the investment. The ideal/trusted broker should, therefore, have a very powerful router that has the capability of relaying the information, data or signals as fast as possible. Spread is the difference between the bid price and the asking price of a security or an asset. It is this difference that creates the incentive for brokers and other players to stay in the foreign currency exchange business. The broker of choice must, therefore, be one who guarantees a higher spread as possible to widen the profit margin and to ensure a consistent revenue inflow. It is necessary to conduct some survey/due diligence on the various brokers available to ascertain this information. This is the ratio/parity of the size of a transaction to the actual investment used for margin. It allows clients to trade without necessarily putting up the full amount, with only a margin being required. For instance, a 50:1 leverage which is also known as 2% margin requirement means that a $2,000 worth of equity is required to purchase an order that is worth $100,000. As a general rule, the lower the leverage the safer the investment is, and vice versa. • Debit/Credit Cards – Entails the use of debit and credit cards such as bank ATM cards, Visa, and Mastercard to either deposit or withdraw funds. • Wire Transfer – It is the real time gross bank settlement funds transfer system. It goes by various names such as SWIFT (Society for the Worldwide Interbank Funds Transfer) and Fed Wire. • Online Payment Platforms – It is the use of online payment platforms such as PayPal, Money bookers, and Skrill to deposit or withdraw funds. The customer service department is often the first point of contact between a forex broker and the wider public. It, therefore, goes without saying that the manner in which the department treats prospective clients has a strong bearing on the possibility of their response/conversion. Ideally, the customer service department has to be very polite, respectful, passionate, caring, and proactive, by making consistent follow-ups. In addition to that, the forex broker should send out newsletters, e-mail updates, and other periodicals to existing and prospective clients to keep them posted of the latest developments. 8. How to Identify Scam Brokers? The entire subject matter of, “A Comprehensive Guide to Forex Brokerage” is pretty wide and complicated as is clearly deducible from the foregoing discussions. In order to take the guesswork out of the search and utilization of this critical resource, the intervention of a professional and qualified expert is by all means inevitable. Moreover, certain aspects of the subject matter may change without notice and in so doing, affect to a large extent the nature of the challenges that would-be clients may confront. It is therefore strongly recommended that prospective utilizers of this critical resource conduct thorough research or seek professional advice prior to embarking on the task of utilizing the same. Metaquotes’ MetaTrader 4 (MT4) platform is by far the most popular trading platform among retail forex traders. In this quick and handy guide we’ll walk you through the various settings and options available in the MT4 options dialogue so you can get the most out of your MT4 platform. This tab allows you to switch trading servers, change your master and investor passwords, enable proxy server functionality, choose whether or not to retain personal settings and data at startup, enable live quote export via a DDE server and enable or disable incoming news. Generally the only thing you’ll ever need to do on this screen is change your password; you tend to set the trading server at login, you only need to setup a proxy server if your ISP uses one, you will nearly always want the program to retain your personal settings and data (unless you are using a public computer), price export via DDE is a functionality reserved for advanced users, and brokers rarely enable the incoming news feature these days. On this tab you can show/hide trade levels, enable/disable OHLC data, enable/disable the ask line, show/hide period separators, enable/disable colour printing, enable/disable the save deleted charts feature (very handy if you accidentally close a chart) and increase or decrease the max bars per chart and history values (used in back testing when you need to load extensive historical data). You may want to disable trade levels if you are posting a chart and you don’t want to also post your position. OHLC (Open, High, Low, Close) data is very handy, but you may want to disable this if your charts are to cluttered or the data isn’t relevant to your trading style. You can set the platform to automatically display object properties dialogue when you create a new chart object, automatically select an object after creation, enable/disable object selection with a single mouse click and adjust object magnet sensitivity. Automatically displaying the object properties dialogue on object creation is a very handy setting if you often draw trend-lines on lower time frame charts which you don’t want to appear on higher time frame charts. We’ve never personally had to change the default parameter settings on this tab, but One Click Trading is a very handy feature for the active trader. There is a global setting which will allow/disallow automated trading, settings regarding when to automatically disable automated trading and security focussed settings related to allowing DLL imports and internet access. The vendor of your EA will advise you if you need to enable the final two settings. Be aware that these two settings can compromise the security of your terminal and PC, so only enable them if you have purchased your EA from a reliable vendor. The vendor will generally explain why their EA needs access to DLL’s or a web server. These notifications are delivered instantly, never lost and arrive directly in your Android/iOS mobile terminal. This is a very handy feature if you are often away from your terminal and require notification about a critical event with an EA or a market event which triggers a trade alert. Simply enter the address of your mail (SMPT) server (you can ask your mail provider for this info if you are unsure), your email address and password, and complete the From and To fields as required. The simplest way of setting this up is just to enter your own email address in both the From and To fields. (Entering “Ýour Name”in these last two fields is optional). This is generally used to connect your MT4 account to a third party analysis service like Myfxbook. The service you are using will provide you with all the information required by this tab . If you would like to take advantage of the MQL5 Expert Advisor market, MT4 automatic trading signals, advertise/bid for coding jobs or post on the MetaTrader forums, you will need to create an MQL5 account from here in your terminal, or at mql5.com. We hope you have enjoyed this guide to the options available to you in the MetaTrader 4 platform. If you are going to be spending a lot of time trading, it’s nice to be able to customize the way your MT4 platform works, in order to make it work for you. The popularity of Forex today is surging - that is an undeniable fact. It is a place where most individuals, business people, and corporations are trying to familiarize. Or if not, they are making sure that they can bag a profit out of this foreign exchange market with the use of the Forex trading signals. Before we introduce Forex trading signal, we will give you a general idea about Forex - just in case you are curious about it. Forex is a global marketplace for currency trade. Foreign exchange is important for the continuous movement of the global economy. Global trade and foreign exchange and business are not possible without the currencies. Take this as an example. If you are residing in the United States and you want to buy meat from Australia, then it’s either you or the meat company will have to pay for the product in Australian dollar (AUD). If you are a German, and you are in touring in China, don't expect that you can buy goods there using Euro. You need to exchange it for Chinese Yuan Renminbi (CNY). That is the basic use of currency. Because of the critical role of currencies, Forex is now the leading liquid financial market across the world. All other markets will fall in comparison to the breadth of Forex, even stock markets. According to the Bank for International Settlements, the average trade volume of Forex is already $6 trillion a day. That means that in each hour, there are around $220 billion exchanged amount. Perhaps, what makes Forex a hit nowadays is because it is done electronically or over-the-counter trade? Other markets require physical trading, which makes them limited and arduous. On the other hand, you can easily do foreign exchange because you can do it in front of a computer. Aside from that, your playing field is vast because the transactions are global. The centers are located in Tokyo, London, New York, Hong Kong, Sydney, Paris, Zurich, Singapore, and Frankfurt. This market is also open 24 hours a day for a five and half day in a week. But to be successful in this liquid financial market, you need to get familiar with Forex trading signals. If you are new to foreign exchange, one thing that you have to learn is the use of Forex trading signal. These signals are being used by most experienced Forex traders to guide them. Signals are important, especially on engaging critical trades. Since there are a lot of providers for Forex signals, traders may have different ways of using this tool. But generally, all of them are using these Forex signals as a safety net from a crashing trade. How does a Forex Signal work? Each provider has different schemes for their Forex trading signal. But basically, these signals are founded into two cornerstones. First is technical analysis. The technical analysis is a sophisticated system way of computing the price of the currencies and their possible trends. The second one is an analysis of global events and how these happening may shift the prices for the short and long-term period. 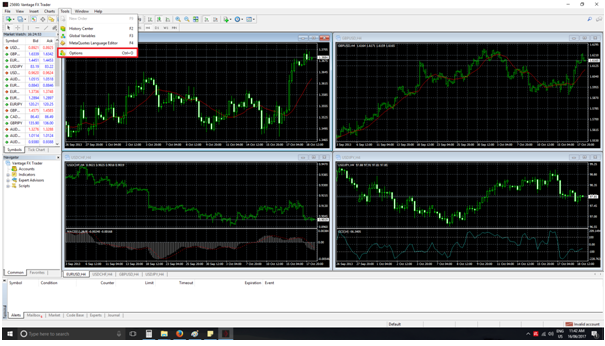 Some of the Forex signal providers are teaching their systems on how to react to current events. After the analysis, the input would be a signal that was independently generated by the system. If you think about it, these kinds of systems are advantageous for you. First, a system like this will remove every downside of human psychology. Most of our decisions always involve fear, hesitation, and doubt. Notably, these emotions are ever-present especially at crucial moments such as high-stake trades. Ironically, the removal of human psychology in the factor is also the greatest downside of these trading signal systems. Without instinct, intuition, and risk-taking, big opportunities might slip away from your hands. Computers are inflexible. Therefore, they will only function the way you programmed them. Providers usually send the Forex signals directly to your phone or email. By this mechanism, you, as a Forex trader, can track daily your activities. Also, this system will enable you not to miss any great trading opportunities. How to choose the best Forex signal provider? In the choice of the best Forex trading signal service, you have to check the following factors first. By doing so, you can assure yourself that you are well-equipped for commercial trade. 1. Comprehensive System - The trade signal that you choose should have an easy-to-use interface. It should have configurations that can aid you in the development of your account as well as management of your resources. 1. All Information Are Present - The Forex trading signal must contain all the necessary data you need before you decide for a trade. All the information under Entry Point, Stop Loss, and Take Profit should be indicated neatly. These pieces of information should have up-to-time updates. 1. Avoid Unrealistic Profit - In looking for the best Forex trading signal, avoid subscribing to those providers that indicate +5PIPs, +7PIPs from individual trades. An expert Forex trader would automatically dismiss these profits as unrealistic and may cause you to enter losing trades. These profits are usually robot-generated and may not be dependable. 1. Avoid Random Signals - Aside from the generation of unrealistic profit, some Forex signal providers also produce random trade signals that are not even reliable at all. These signals are not analyzed thoroughly and usually created just to show their clients that they offer "quality service." 1. Signal Arrival - The provider you should choose should have a definite time when they will send signals. You just can't wait all day for a trade signal to arrive, right? The best Forex trade signal providers have a schedule when they are releasing messages to their clients. 1. Ability to Monitor Trade - One of the most important services a trade signal provider can give you is business monitoring. Aside from signals, you should also consider every situation that could affect the market. As we have said earlier, foreign exchange is a liquid financial market. Any major events can cause shifts in prices and trend of trade. Most of all, it is also important that you will select a provider that can give you monthly commitments to the number of the signal that they will give. By doing so, you have a benchmark to how you will rate their service. If they will fail to deliver this, then jumping to another provider is just a logical thing to do. There are a lot of providers today that are offering trade signals. Always heed the considerations we gave. They can save your money. They can also save you from disappointments. As you go further to Forex trading, you will get more familiar with these signals. They will help you to avoid risks in trading currencies, which in turn, will maximize your profit. Do not be afraid to learn about foreign exchange. In this era where access to information is easy, learning about financial trade is possible. Some people get afraid whenever it comes to business, trade, and finance. They say that these subjects are too complex. Yes, we won’t deny that they can get hard. However, we never told that foreign exchange is something you can’t learn. Also, take into account that there is no instant success on Forex, neither to any goals that you set. You need to pour constant effort and dedication. Getting familiar with the numbers and learning how to analyze the global market are ways you can get ahead. Keep eye on the events that are happening around you. Some of them can give you your biggest break! The world of forex is complex indeed. There’s so much to be learnt and incomplete knowledge about forex, well can be dangerous. I started investing in the Forex world a couple of years back, and it has been a rewarding ride. Forex trading carries with it a number of dangers. If you aren’t careful, you might just find yourself in a huge debt. Of course, if you know how everything works, you can make quite a bit of money too. This is why you need forex trading for beginners. Let’s take a brief look at what the forex ﻿﻿﻿market really is. Technically, forex trading is defined as the market where global currencies are exchanged. The main participants in this market are of course banks and many financial centers. But that doesn’t mean only large financial institutions take part. There are small financial firms too and dealers who deal with quite a lot of money too, sometimes even to the tune of over hundreds of millions of dollars. Forex trading by and large has little supervision as it has international trade and there’s no sovereign authority controlling it. 3. How to Make Money from Forex Trading? 2. What if you want to become a part of this forex trading system? One can make big money here if they understand the complexities of the foreign trading system. Say the currency exchange rate of $1 to another currency is translates to 10 units of the other currency when you buy it. Later, when the same exchange rate becomes $1 = 14 of the other currency, you can sell what you have to earn a handsome margin of profits. Forex trading is undoubtedly a huge source of making money. Before starting to trade you should have the basics of forex trading. If you have those ideas, you will get confidence in trading. Keep in mind forex is not a gambling platform to make money overnight. If you can develop a strategy that work, it will be potentially profitable for your trading career. Having a trading strategy is the single most important factor in successful forex trading. Traders who don’t utilize a strategy have a clear idea why this is important. “A trading strategy may be important, but it is how you integrate it with other aspects of your trading activities that will determine your level of success.” We are going to help you by walking you through how to build your very own trading model. l Your strategy dictates where to enter and exit a trade, the duration of the trade, money management practices and even risk management criteria you use. l The next step is to identify the forex security you will be trading. It could be assets or currency pairs. Your choice should be made after careful consideration. They don’t carry the same amount of risk. The next step in building your trading model is to include four specific parameters. News is important because you cannot ignore how the news will affect the market. Your model should also have any timing dependencies that you may want to include. You could decide to only enter the trade just before Macroeconomic figures are announced. The next step is to set your trading objectives. it takes a while to make it work just right. The time is well spent testing and re-testing every aspect of the trading model. The model should not only work but is consistent with your trading style. Before a trading model can become perfect, you will have to exercise discipline and patience. Technical analysis works much the same as it does to analyze the stock market. It’s assumed that the current price reflects the news, charts, and other objects of analysis. Fundamental analysis, on the other hand, is difficult when it comes to the forex market. This is because unlike businesses, countries do not have balance sheets. Several fundamental factors that play a major role in a currency movement. In order to understand fundamental analysis for forex, we need to look at these factors. Gross Domestic Product: Most traders will use two reports that are issued just before the GDP as a basis for their fundamental analysis. Retail Sales: Retail sales can accurately determine the direction of an economy, making it the most important factor in fundamental analysis. Industrial Production: The utility production in a country can significantly affect its currency. Consumer Price Index: Traders focus on the Consumer Price Index as prices of exports affect volatility of currency. Economic indicators are just some of the vital factors to assessing the volatility of a currency. Other technical factors and third party reports can actually have valuable information. Short Profit Level - If you're looking to trade forex, know that you can also make a short profit. Many forex players look at making short profits instead go long term profits - and you need to have a level in mind. Once the forex level reaches that, it's time to sell. Stop Loss level - If you're experiencing loss, do not worry. A little loss is okay, but have a stop loss level in mind or the level the you would want to sell the currency, to avoid making more loss. Use all of your experience in online trading. Read books and consult experts. Join forums online and be up to date with the current trends. Even if it was a hobby before, you might have learned an important lesson in the process. Know what your mistakes were in the past and try to avoid them. More importantly, study the market behavioral patterns. Create time to improve upon your skills. If you seek to be professional in trading then, get a professional degree in finance, business or related degrees. There are four-year relevant programs like investment management, international markets, banking, corporate finance, global economy, and business economics. In addition, develop strong analytical, interpersonal and communication skills. This will help bring more business. Are you using the right tools? Like other business professions, there are tools that can make your work process easier. Today, you have predictable analytics software that can help you know the trends easily. Get a good analytics software or trading software that can automate your work to the utmost; however, do not rely on these software wholly as it can be fatal. These will help you analyze or manage your investment in more effective way. As you will be working from home, you may not have chance to interact with the best in the business. Make sure you visit forums, webinars, seminars, or conventions. This will help you meet the best traders in the business. Interaction with other traders will help you learn more about the business. If you can afford to spare a little money, you can get a mentor who might stay close to you during your first few months when your work as a consultant. One important factor in forex-trends. Trends are basically movements on a graph, which when plotted, gives us an idea of the currency, which direction it is headed in, and its movements over the recent past. Trends are very useful, because, if you see a consistent upward trend between a currency pair, then you are in a better position to take a call regarding the transaction of that particular pair. Trends are vital, because they are numerical, absolute, and represent the most raw form of data, that a forex trader can use to his advantage to trade currencies. The collection of data points plotted on a chart, shows the general direction of the currency.In some cases, it is easy to identify the trend. Forex trading, however, is not at all predictable, and sometimes you may see a haphazard trend, i.e, the rise and fall, often between short spaces of time. A trendline is a charting technique, in which a line is added to represent the trend in a currency trend. It is as simple as drawing a straight line that follows a general trend. Trend lines, are useful in identifying trend reversals. Studying and understanding trends, is important, so you can trade and profit from the general direction in which a currency pair is heading. Not paying attention to trends, could attract monetary losses. Losses, when small, can be swept under the blanket as learning experiences. But, long term losses could drain your funds. Hence it is important to observe, and study the prevalent trend. Forex trading is all about analyzing data, and getting the most out of it. I believe if you have the right strategy, you would be able to make a lot of money in Forex. Study the market carefully before investing and do not take uncalculated risks - it is important to know the basics well.